In what appears to be a relatively crowded practice management marketplace in New Zealand, with some heavyweight incumbents in place, it may raise some eyebrows to have a brand new entrants arrive. And moreso given that the latest to enter the market was set up in its Irish birthplace to do something that may may have overlooked: to create a powerful yet easy-to-use tool to do that Holy Grail task – make lawyers’ lives simpler. With a good half dozen or so practice management software programmes available in New Zealand the competition is tight. Typically users will look for robust systems that are well supported although today there are also requirements for mobile-friendly applications. There’s a lot of work required of a good PM system including the ability to manage client records and case files, assist with document management and assembly, tracking billable hours and generating invoices. Then they will be required to manage calendars, meetings and track correspondence. All of which creates a heavy demand and a requirement hopefully – for user-friendliness. 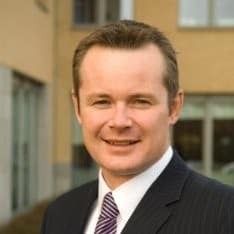 Practice Evolve is not exactly a Johnny-come-lately however, being developed in Ireland in 2004 specifically for the legal industry, rather than as a hybrid tool set up to handle management issues in multiple disciplines. The company’s new, New Zealand manager, Nick France (pictured below), has a long history of being involved in the practice management area and spoke to LawFuel about creating a “culture of evolution” with the software. The task is to do so in a landscape that is constantly changing. One of the major industry changes in recent years has been moving to paperless or ‘paper-light’ files, which has permitted the digitising of files and provided lawyers and others with the change to move away from the office. “We see this trend continuing and extending into the client experience. In the near-term this will help firms provide clients with real-time access to certain matter information thereby providing the double benefit of a more responsive experience to the client while reducing the amount of inbound calls to the firm,” he says. But having said that, what is the difference that Practice Evolves brings to the market that others don’t? Is there a single feature that would make a firm choose the software over another? “We’re often told it hard to point to a single feature alone that influenced a firm to choose Practice Evolve over one of our competitors. We’ve crafted our extensive solution over the past 14 years, and our features are designed to seamlessly complement each other. The need for an “alternative provider” in New Zealand is long overdue, he says.